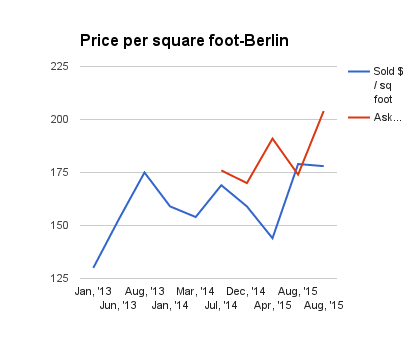 It's hard to tell what the market really looks like in Berlin from the data - it's too small! 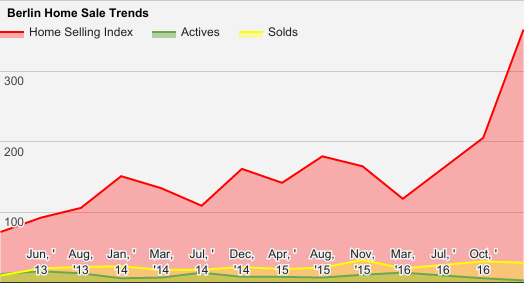 With just 5 homes for sale currently, what we know is the market is short on houses. 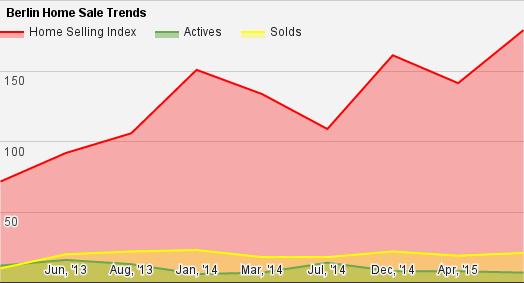 Berlin homes are selling near their price highs, and inventory remains tight. But not as tight as it was in March, which was epic tightness in most of MA. Prices remain rational in Berlin. 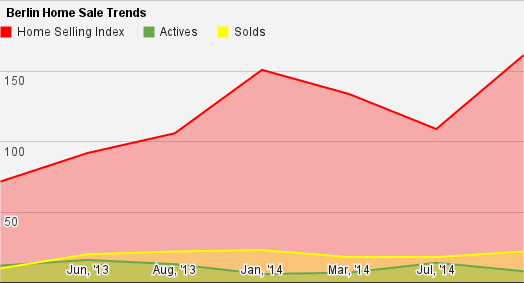 Berlin Home sellers remain optimistic that buyers will keep moving the prices paid for homes up. 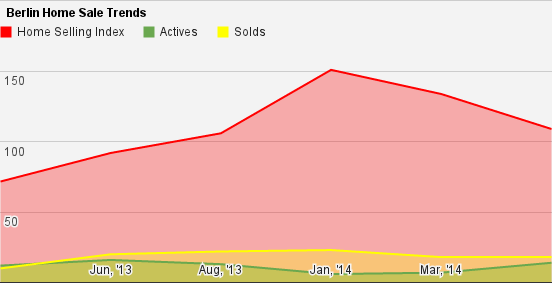 Right now, there is a healthy gap between Home seller wants and home buyer paid prices. The usual tug of war that we see each spring. Berlin remains a good market for homes sellers. Prices remain near their highs, transaction volume set a record, and inventory - the number of homes for sale - remains tight. and raised prices on new listings. 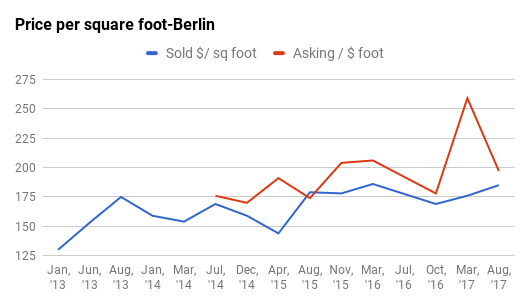 Berlin is a very small town, so the data can really move around, but it's hard for sellers not to get excited about a report like this. Berlin has so little data, it can be prone to serious mood swings when we look at it - but over time the trendlines can tell us what we need to know. We will take a quick look at Berlin, with the standard note that the data is so limited here that we should always be precautionary before making any hard and fast conclusions. 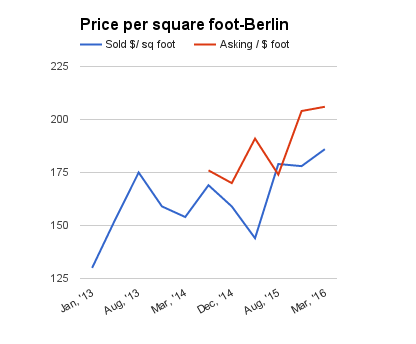 Berlin sellers have certainly been aggressive - and patient - this year. And that combination has paid off.